Our behaviour is always a reaction to the system around us. Let us take an example of an Agile team working on a project, and as we know its behaviour would be determined by the stakeholders, leaders, enterprise culture around them. Anyone wishing to change the team’s mindset should look at changing the system first rather than their practices. As per Systems Thinking a problem needs to be solved by looking at the system as a “whole” rather than the reaction to parts of the system. All the elements in a system are inter - related and inter - dependent. Removing parts of the system creates a new system destroying the old one. In any software project, the system includes the developers, testers, stakeholders, and all the tools being used there. Agile transformation is all about changing the mindset of the people towards embracing a better way of developing software. An Agile coach on the project will be successful, only if he/she has the power to influence the system, not just the practices. However, it is not the case in most instances. 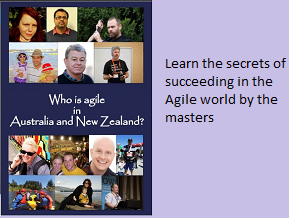 Most of the Agile coaches concentrate only on Agile practices and updating the Kanban walls. This has lead to large scale failures in Agile projects, and at the end stakeholders declaring “Agile won’t work”. 3. Lack of experience working in large enterprises or systems. Coaches with hands on experience working on multitude of projects are in a better position as compared to newly “upgraded” coaches. 4. Ignoring the importance of systems, and trying to impress the clients with Scrum ceremonies. 3. Agile coaches should closely work with iteration managers/Scrum Masters in brining the change. While Scrum Masters concentrate on the practices, the coaches should concentrate on Systems Thinking. Many organizational challenges are a result of systemic issues, where cause and effect are not directly connected, but are separated by time and involve feedback loops and delays.